Are you raising a transgender child? Are you passionate about making the world a better place for them? Do you want to reduce the suicide risk associated with transgender children? Would you like to see more transgender children empowered to live authentically? Starting a TransParent chapter in your local community will make this, and more, possible. 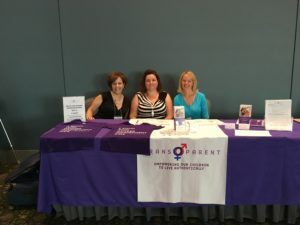 As a TransParent chapter leader, you will provide connection, support and organized resources to families who are experiencing a range of emotions. By facilitating a monthly support meeting you will help them navigate their journey so that they may better respond to their child’s needs. We will give you all of the basic essentials to get started for free and we’ll provide a chapter website profile on TransParentUSA.org so that families can find you. Families raising a gender independent child are in every community. TransParent is like a field of dreams … “if you build it, they will come.” Click below to complete an application today. Click here for a Chapter Application.